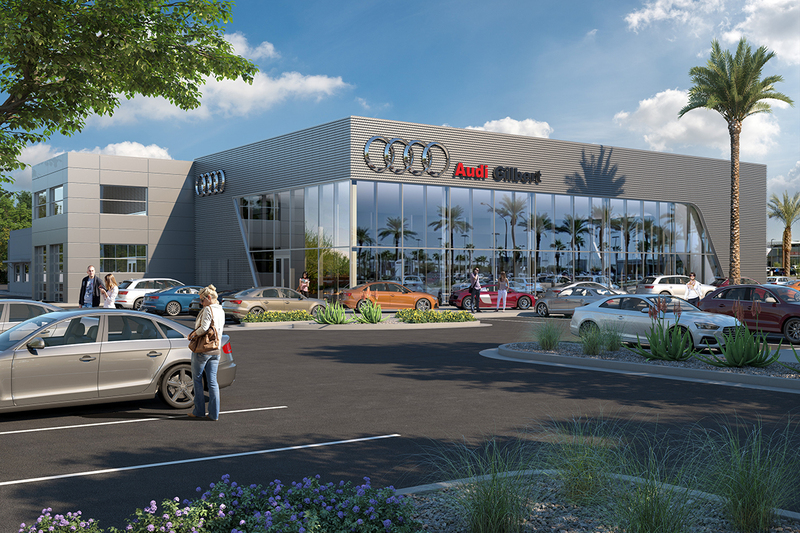 A luxury sales and service facility on a four and a half acre site that is part of an upscale automotive campus within the Rivulon development. 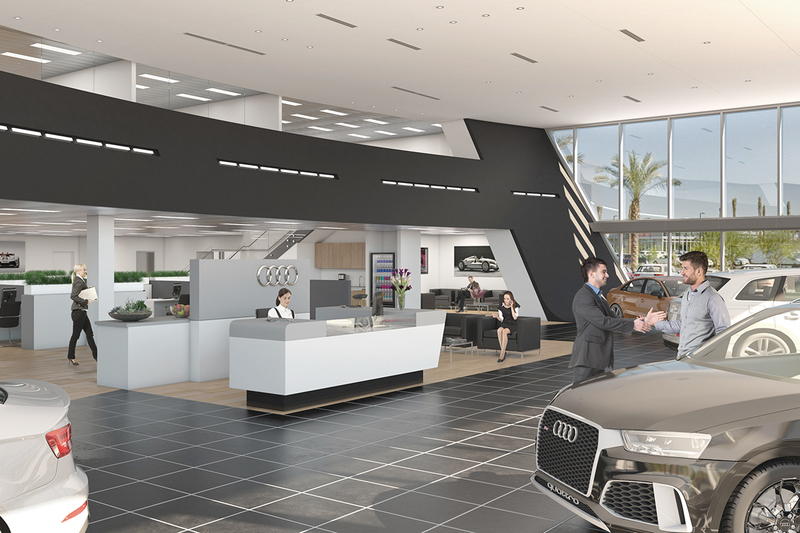 The showroom is clad with an intricate, layered modern silver metal panel system that embodies the precision of luxury car design. Inside, the showroom has a distinctive curved balcony wall and a large skylight. The building is two stories and has 16 service bays and 5 detail bays.